Not too long ago, most people – including brain experts – thought that loss of brain cells meant the loss of intellect and that loss of intelligence was both inevitable and irreversible. All of this, of course, was before the discovery of neuroplasticity, the almost superhuman ability of the brain to grow neural connections throughout life. 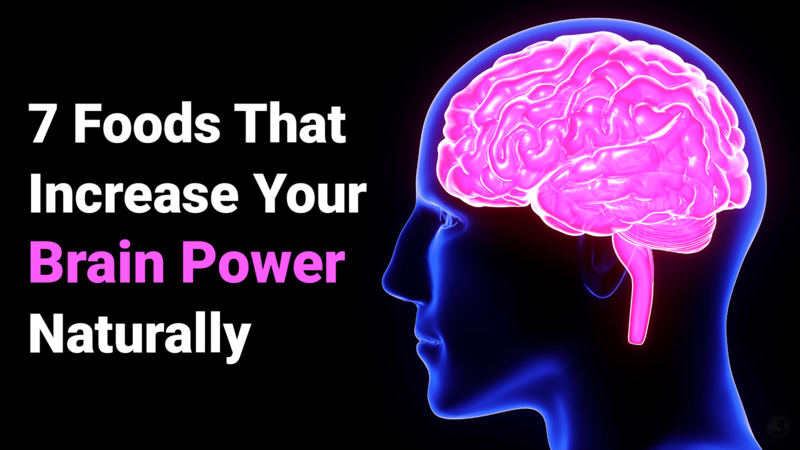 Now, because of aging’s cumulative effects on the brain, there is no possible way to regrow every neuron that’s ever spouted, but that’s not necessary. The most important thing, according to Dr. Merzenich, is that we continue to challenge, nourish, and protect our noggin. If you do these three things, you’ll be able to care for your brain well beyond what is needed for healthy cognitive function. As you well know, pretty much everything that you put into your body has a physical and psychological impact. We’re either adding to our brainpower or subtracting from it. Wolf down four pieces of pizza, and you’ll probably feel a bit less sharp; eat an orange and you may experience a slight brain and energy boost. If you’re interested in maximizing your intellectual capabilities and want to use food as a means for doing so, this article is for you. Only the foods that produce a significant (and well-documented) cognitive benefit are worthy of mentioning here. A.k.a. “brain berries,” blueberries are perhaps the most potent brain food of all. First, foremost, and most importantly, blueberries protect your brain from the damage of free radicals and age-related cognitive disorders such as dementia. In one interesting study, researchers conclude that blueberries increased “both the learning capacity and motor skills” of aging rats. These findings show that eating at least one cup of fresh blueberries per day may reap some serious brain benefits. Besides blueberries, avocados may just be the next best food for your brain. “I don’t think the avocado gets its due,” says Steven Pratt, MD, author of Superfoods RX: Fourteen Foods Proven to Change Your Life. 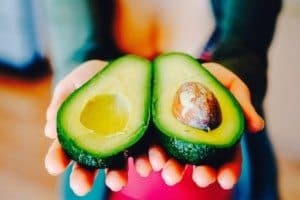 The most notable discovery is that the monosaturated fats in avocados significantly increase blood flow to the brain as well as also lower blood pressure. The former effect enhances thinking skills, while the latter safeguards them against decline. Healthy as avocados are for the brain, they’re pretty high in calories. Add just 1/2 avocado to one daily meal, maximum. Per WebMD, an ounce of almonds, Brazil nuts, cashews, flaxseed, filberts, hazelnuts, sesame seeds or sunflower seeds may help halt some of the inevitable cognitive declines of aging. Scientists attribute this neuroprotective effect to vitamin E.
Unhydrogenated nut butters, including peanut butter and almond butter, also work. If you are sensitive to sodium, buy unsalted varieties. As with other calorie-heavy foods on this list, enjoy nuts and seeds in moderation. Pomegranate juice is a convenient way to get a nice dose of antioxidants in a convenient package. Eating the fruit is also an option if you don’t mind separating the tiny seeds. As pomegranate juice contains sugar, it is wise to drink just a bit. Two ounces of the stuff mixed in with some spring water will suffice just fine. Here’s another option: 1 ounce of pomegranate juice, a teaspoon of lime juice, and a healthy dose of club soda. We’ll go ahead and end this article with dessert. While indeed a tasty treat, dark chocolate is also a superfood! The reason? Antioxidants and more antioxidants! Dark chocolate also contains natural stimulants which help to enhance concentration. Of course, it is best to enjoy dark chocolate in moderation. Some tips: choose dark chocolate that is at least 70 percent cocoa (80 to 90 percent is even better, though considerably more expensive.) A few squares, or about a half ounce to an ounce, is plenty enough to reap the brain benefits of this treat. Merzenich, M. (2013). Soft-Wired: How the New Science of Brain Plasticity Can Change Your Life. Parnassus Publishing. San Francisco, California.